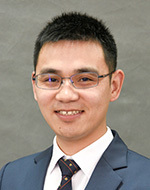 The University of Michigan – Shanghai Jiao Tong University Joint Institute (UM-SJTU JI) Ph.D. graduate Aimin Tang clinched 2018 SJTU Excellent Doctoral Dissertation Award with his dissertation on full duplex communications and coded caching for 5G networks, according to a recent SJTU announcement. 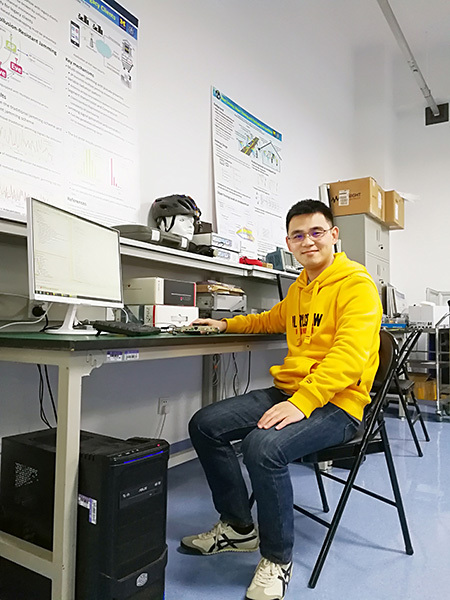 Two advanced technologies, full duplex communications and coded caching, were explored in Doctor Tang’s dissertation for 5G networks under the guidance of his advisor Professor Xudong Wang. Full duplex communication was explored for the 5G access networks to increase the access capability and spectrum efficiency, and coded caching was designed to offload contents and alleviate congestions at base stations for 5G backhaul networks. The dissertation proposed the first MAC protocol design by leveraging the physical layer “capture-effect” to address the problem of the high-efficient heterogeneous networking for the coexistence of both full duplex and half duplex communications, designed a high efficient CSMA/CD based random MAC protocol for wireless OFDMA system, and a novel full duplex D2D mode to extend the existing D2D modes so that the spectrum efficiency was highly improved. The dissertation also addressed the critical heterogeneous channel condition problem for the first time in both novel transmission coding and algorithm designs. Theoretical analysis was also comprehensively carried out for applying coded caching in 5G backhaul networks, which provided research guidelines for the follow-up studies. The mobile web has become an indispensable part of human life, as well as a key foundation of modern economic development of a country. Infrastructure of a modern mobile web heavily rely on the support of the mobile cellular networks, especially the forthcoming 5G networks. Research and development of 5G has been regarded as a key field of competition for super powers vying for long-term development in the future. Establishment of the SJTU excellent doctoral dissertation award aims to foster an atmosphere of upholding scholarism and innovation, encourage original scientific research by doctoral students under the meticulous care of their advisors, upgrade the quality of doctoral degree dissertations, and strengthen international competitiveness of the doctoral graduates. Aimin Tang is a Research Assistant Professor at the University of Michigan-Shanghai Jiao Tong University Joint Institute. He received his Ph.D. degree in information and communication engineering from Shanghai Jiao Tong University in 2018. He was a visiting scholar at University of Washington in 2016. Professor Tang’s current research interests include 5G networks, full-duplex communications, rateless coding, coded caching, and smart connected systems.